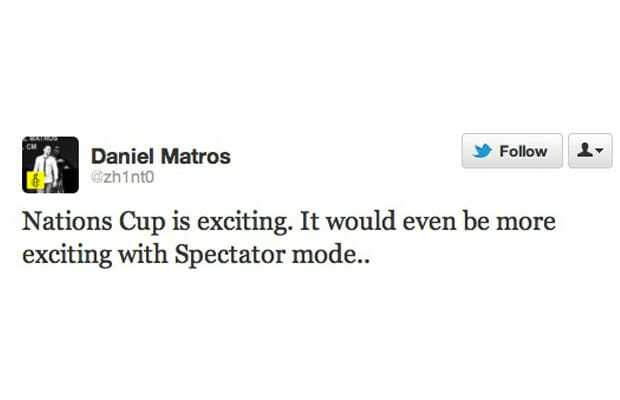 Spectator Mode and "BattleRecorder" Coming Soon to "Battlefield 3"
Daniel Matros is DICE&apos;s Global Battlefield Community Manager, so when he tweets that there&apos;s "new stuff happening. Good day today :). Fans well be in for a treat later on," our ears perk up like hungry pups who&apos;ve just heard the mailman&apos;s truck coming around the corner. That tweet was followed up several hours later by another that read, "Nations Cup is exciting. It would even be more exciting with Spectator mode.." He&apos;s referring, of course, to ClanBase&apos;s global BF3 tournament, which kicked off today with its opening matches. While the news would be great for BF 3 fans, he stressed that it&apos;s not confirmed yet. "Calm down now. It´s been a wish and an ambition of mine since way back to have spectator mode in our future games," he said, and "Nothing confirmed or said yet." Still, the tournament won&apos;t be over for a while, so we can hope it&apos;ll be implemented before then. Would you take advantage of gameplay recording and spectator modes in Battlefield 3? The machinima community would likely be thrilled, but would average gamers use it? Let us know in the comments or on Twitter.